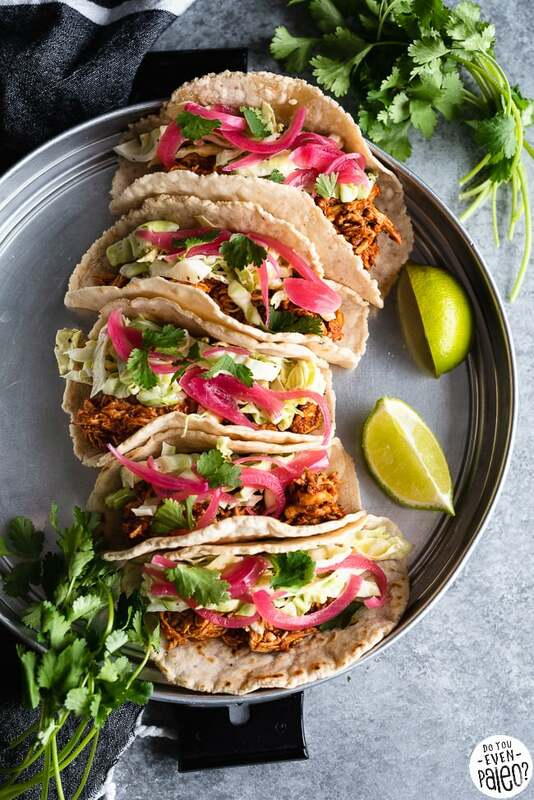 Ready to change up your taco routine? 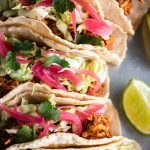 Make your next Taco Tuesday unique with these BBQ Chicken Tacos with Simple Coleslaw! Paleo and gluten free, these chicken tacos are easy to prep and 100% worth stepping out of your taco comfort zone. If you’re a longtime reader here, you’ll know that I’m a little taco obsessed. Sure, I make mostly paleo and all gluten free recipes, but that doesn’t mean I can’t enjoy the best damn tacos around! Click here to get your FREE paleo taco e-book! 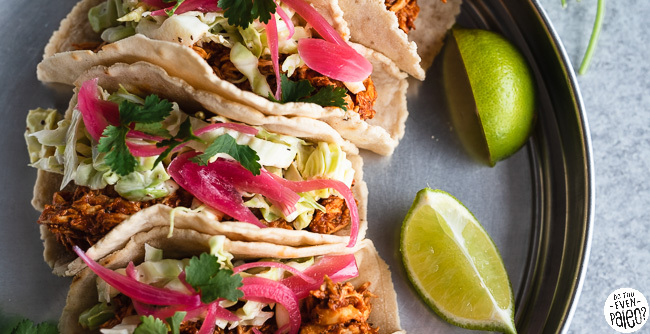 And one of my best tips in that e-book is nestled in the details of how to customize your own epic tacos from the ground up. 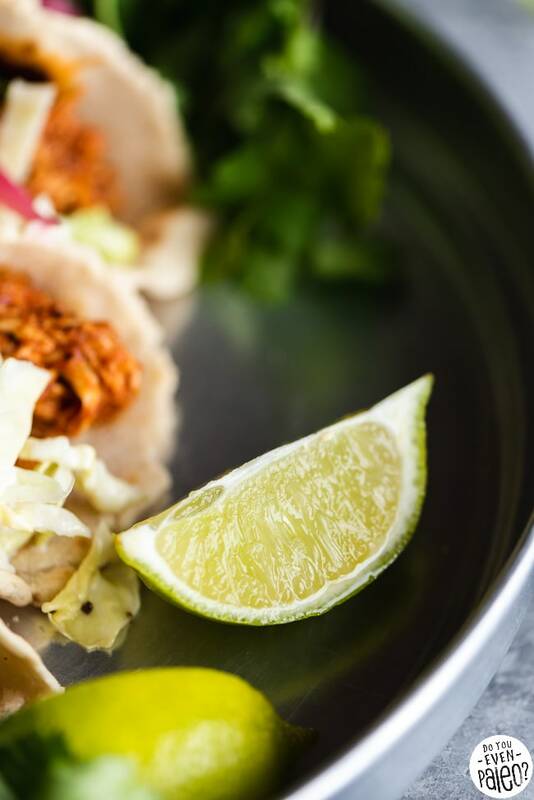 That tip is: tacos are best with some crunch. 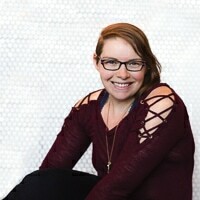 The best way to achieve that? Toppings! Many toppings can help you achieve a little crunch, like fresh pico de gallo, lettuce, diced onion, pickled veggies, radish, or, in this case, slaw. I couldn’t think of a better pairing for a BBQ taco than a simply-made coleslaw made with cabbage and a bit of mayo-based dressing. It definitely adds crunch! BBQ sauce: homemade or store bought? You’ll see below that I included a recipe for homemade chipotle barbecue sauce. 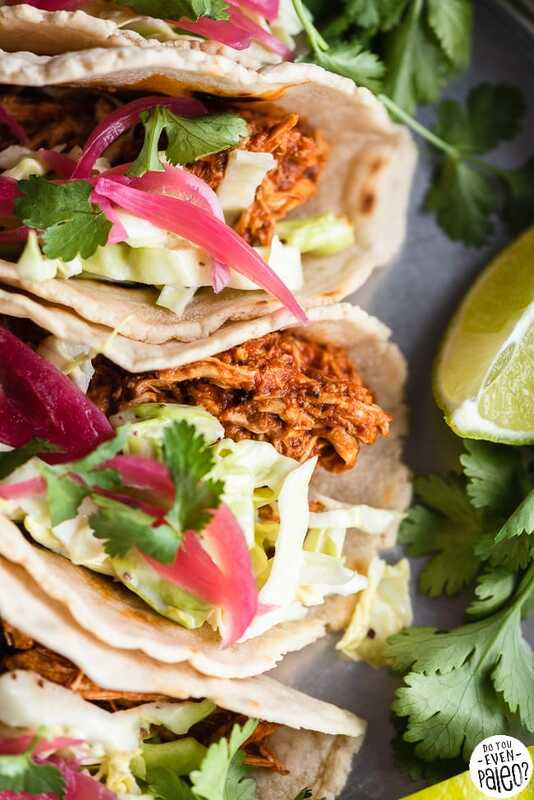 While I did specifically make the barbecue sauce for these shredded chicken tacos, I also understand that most people don’t want to go through the trouble of making their own sauce when there are lots of great options available in store. I completely understand, but I also want to point out that making BBQ sauce is as simple as throwing all the ingredients in a pot and letting it simmer away to thick, saucy bliss. Still, I’ll admit that the biggest reason I included a homemade recipe is because it’s hella hard to find paleo-friendly BBQ sauce in Fargo! Everything I can find either has a ton of added sugar or gums and thickeners I’m not down with. That said, THIS WEEK before posting the recipe I found that my local Natural Grocers just stocked Tessemae’s Matty’s BBQ Sauce for the first time, so I picked up a bottle to give it a try. All said, feel free to adjust this recipe with your preferred BBQ sauce. But also don’t discount making your own! Oh, yeah. 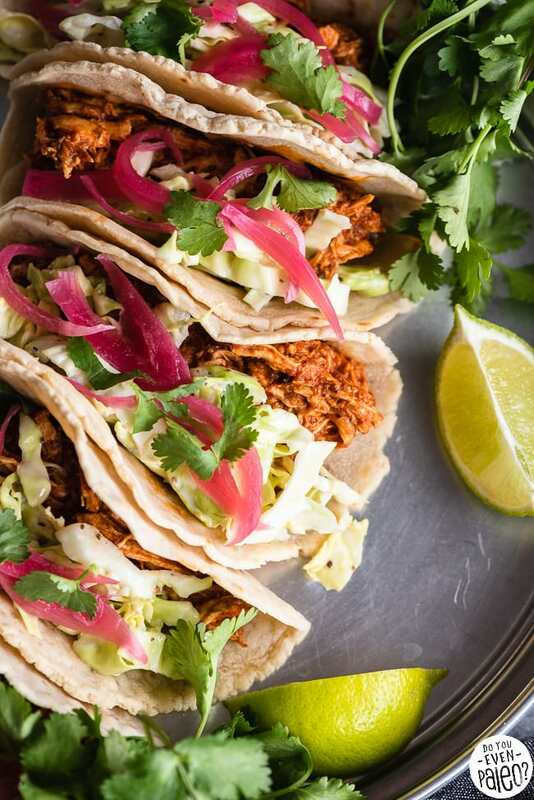 I forgot to mention that I committed to posting a new taco recipe each month in 2019. Stay tuned for a whole year packed with more tacos. 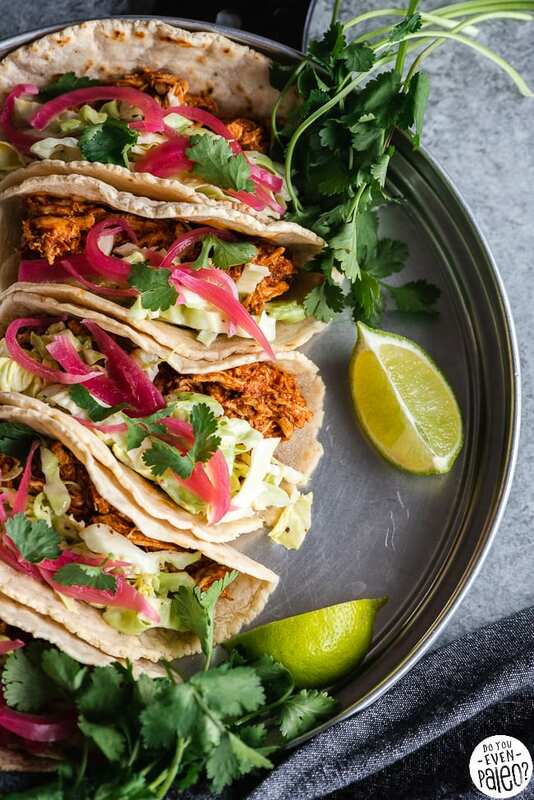 Because we can ALL use more tacos, right? 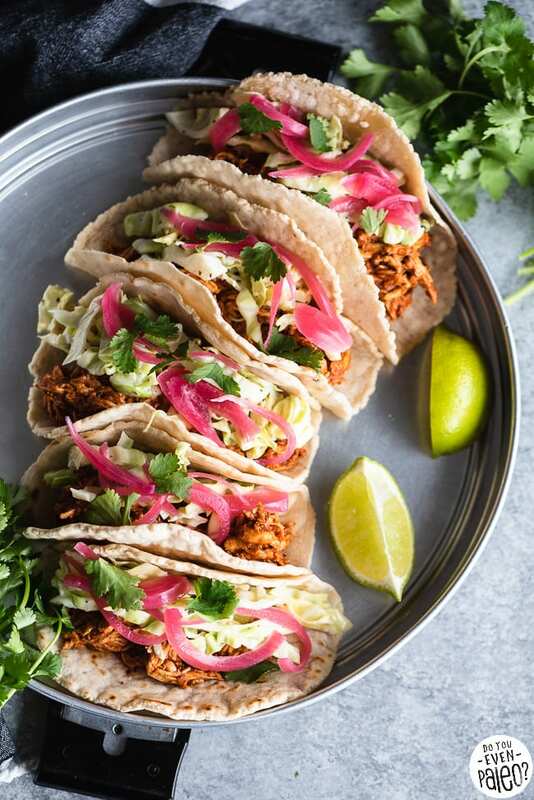 And as one last call-out, sign up for my newsletter to get my FREE paleo taco e-book, packed with all sorts of taco tips and recipes to help you enjoy epic tacos every damn day. 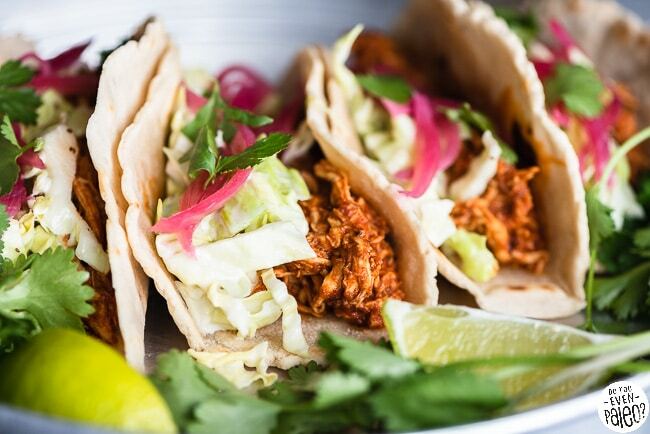 What better way to change up your taco routine than with BBQ Chicken Tacos and Coleslaw? 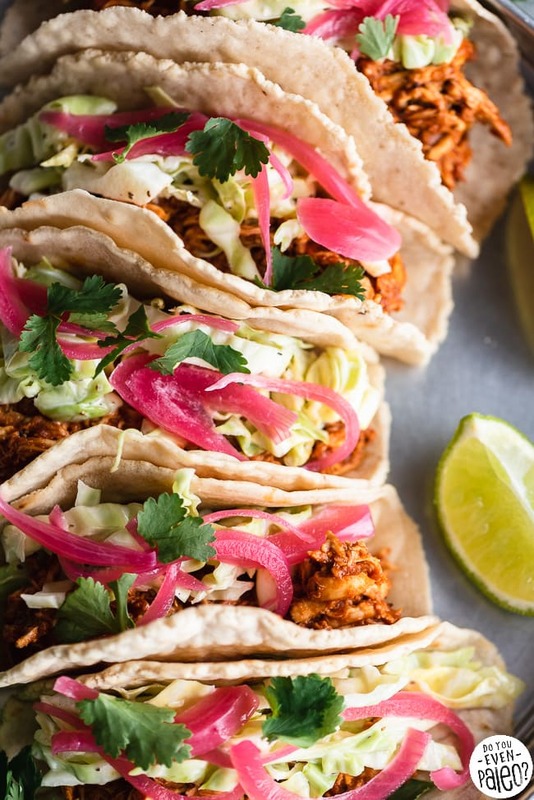 Coleslaw adds a necessary crunch to these tacos, but you can add extra toppings like pickled onions and cilantro, too! First, make the Chipotle Barbecue Sauce. Heat olive oil in a medium-sized pot over medium-high heat. Add the diced yellow onion and garlic cloves, sauteing for about 5 minutes or until the onion is translucent and soft. Add the tomato sauce, honey, molasses, vinegar, chipotle powder, sea salt, and black pepper, stirring until mixed. Bring to a boil, then reduce to a simmer. Blend until smooth using an immersion blender or by transferring the mixture to a heat-safe blender. Continue to simmer for 15-25 minutes, uncovered, until the sauce has thickened to your liking (you’ll want it pretty thick for tacos). Add the shredded chicken and stir. While the barbecue sauce is simmering, make the coleslaw. Add the mayonnaise, apple cider vinegar, lemon juice, and celery seed to a large bowl and whisk until smooth. Add the cabbage and toss to coat. Refrigerate until you’re ready to assemble the tacos. 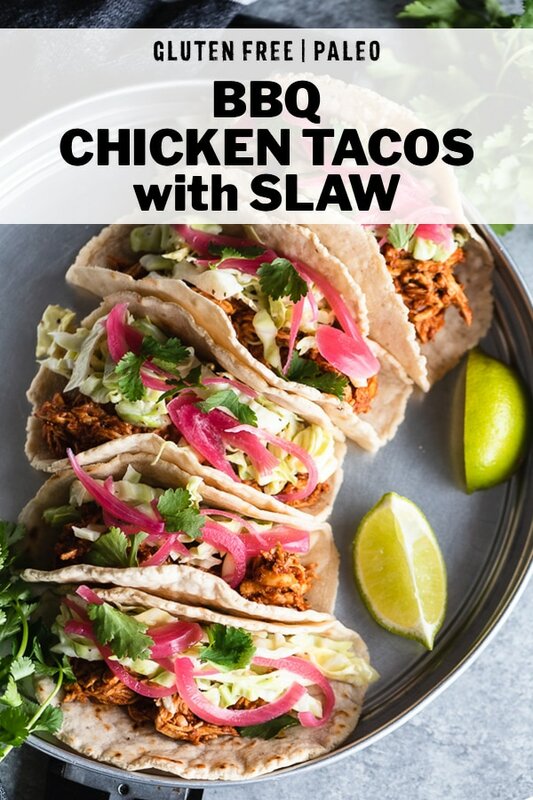 To assemble the tacos, add a couple tablespoons of BBQ chicken to each tortilla, add an equal amount of coleslaw, and top with any additional desired toppings. Eat immediately. Don't subscribe All Replies to my comments Notify me of followup comments via e-mail. 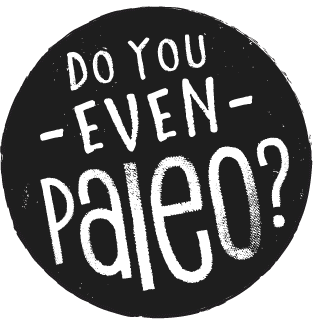 You can also <a href='https://www.doyouevenpaleo.net/comment-subscriptions/?srp=6836&srk=87505361eee98908ddf6ccb8681f50d6&sra=s&srsrc=f'>subscribe</a> without commenting.